With more than 1,000 people entered via Facebook, the results of Barclay&apos;s "London by Bike" photography competition, in which contestants were asked to submit a photograph that reflects cycling in the capital city, have finally been announced. 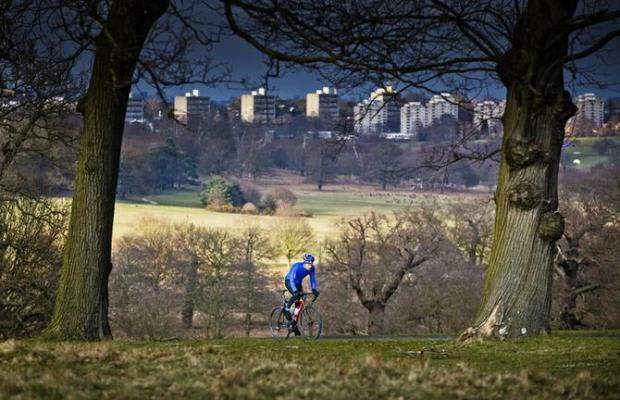 Thomas Casey won the professional category with his shot of a road cyclist in Richmond Park. Professional photographer Dan Chippenham was the first runner-up with his shot of a cycling couple by the Millenium Bridge. Kris Matyskiewicz took the winning amateur shot of a cyclist, silhouetted against Big Ben and the London Eye. The amateur runners-up were Emily Dimmock and Florian Sokoll. Winners of the contest will each receive a luxury cycling package from Barclays, including a £1,500 cycling kit, a stay at a five-star hotel, and a meal at Dinner by Heston Blumenthal. The winning shots will all be given away as postcards in 300 Barclays branches across London and the south-east.